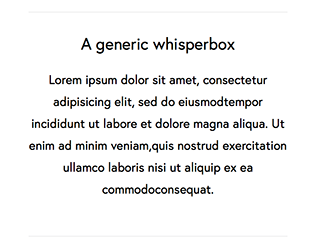 We use Whisperbox to subtly nudge learners towards actions that are secondary but may be of interest to them. 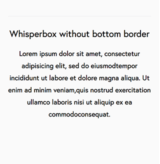 and the contained block will be the content of the Whisperbox. You need to provide a whisperbox_heading, and whisperbox_iconand whisperbox_modifier can optionally be provided to specify the icon to use and CSS class modifier to apply.